Do you have Questions about Hair Loss? Get answers now. Hair Loss in Men and Women. What Can You Do? Recent studies show that well over 51 million men and women in the United States alone suffer from some form of hair loss, alopecia, or thinning hair. Even more suffer from hair loss due to medical reasons such as chemotherapy hair loss, lupus or trichotillomania (compulsive hair pulling). 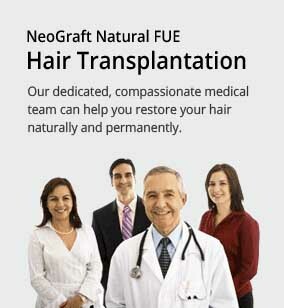 Since 1975, Embassy Studios in Chicago, Illinois has taken great pride in providing men and women across Illinois and Indiana with the latest breakthroughs in male and female hair loss prevention programs, state-of-the-art hair replacement solutions, laser hair loss treatment, and hair loss prevention programs, and most recently NeoGraft FUE hair transplantation. At Embassy Studios, in Chicago, Illinois, we offer every proven method of hair restoration women and men want to regain a full head of hair; from totally undetectable wigs and hair additions to the finest non-surgical hair loss replacement solutions for men, women, and children. Of course, which hair loss solution is right for you depends entirely on your amount of hair loss, the causes of your hair loss, your lifestyle, and expectations. That’s why we offer a completely private hair loss evaluation and consultation to answer all your hair loss questions fully and completely and to give you the facts you need to help you determine which hair replacement or hair loss treatment solution is right for you. At Embassy Studio in Chicago, Illinois, we are proud to offer the very latest in personally customized hair replacement Chicago area solutions for men. Our exclusive Embassy Studio hair replacement system for men is individually customized just for you, it’s made from the finest human hair available, making it virtually undetectable to both sight and touch, even in those situations which are up close and personal. 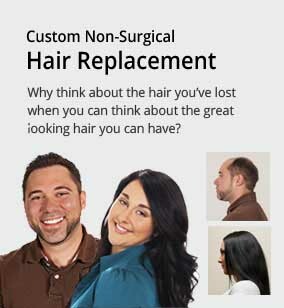 For men suffering from alopecia, male pattern baldness, and other causes of hair loss, our commitment to the highest professional standards means that your custom hair loss replacement system is able to completely restore the natural, original appearance of your hair, with a totally natural looking hairline. And best of all, you can have the same total coverage of your scalp as you had before you started losing your hair. It is so natural looking that no one will ever know that it’s not your hair growing out of your own scalp. *Results can vary based on each case and client. Each of our men’s hair replacement procedures is individually designed for your specific needs, lifestyle and budget. Regardless of your degree or type of hair loss, the men’s hair restoration professionals at Embassy Studio in Chicago can help with our full spectrum of professional hair replacement and hair loss treatment options. 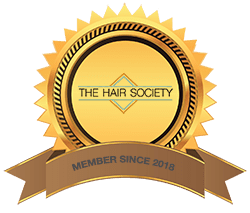 With a personally customized hair replacement solution from Embassy Studio in Chicago, you can finally stop letting the thought of your thinning hair consume your every waking moment and live life on your own terms, with the hair you’ve always wanted. Any color, any style, it’s all yours with a 100% customized hair replacement solution from Embassy Studio in Chicago. Forget those silly wigs, hair-pieces, and scarves. Our individually customized women’s hair replacement solutions are made from the finest 100% natural human hair and are so incredibly natural, both to the eye as well as the touch, that there is simply no reason to suffer from hair loss, alopecia, or thinning hair any longer. Now you can finally stop thinking about the hair you’ve lost and start living your life with gorgeous, natural flowing hair in the length, fullness, and style you’ve always wanted. All of our women’s hair replacement services are provided with caring consideration for your individual needs and expectations in a totally discreet, private and confidential setting. We encourage you to contact us today to arrange for a private, no obligation, hair loss evaluation. A trained Embassy Studio hair loss professional will work one-on-one with you to answer all your hair loss questions and help you determine which hair loss treatment or hair replacement solution is right for you. Laser Hair Loss Treatment is proven, FDA cleared, non-invasive solution for treating early hair loss (Norwood classifications 1-3). Laser Hair Therapy for hair loss is easy, effective and affordable for men and women regardless of ethnicity and for all hair types. At Embassy Studio in Chicago, we typically see better than a 95% success rate in both men and women, in helping to stop hair loss and shedding, and giving clients the appearance of thicker, fuller, healthier looking hair. *Results can vary based on each case and client. Originally introduced in Europe over 30 years ago, Laser Hair Therapy has been shown in independent studies to stimulate hair follicles and stop the progression of hair loss, repair hair damage caused by chemical services, and enhance the hair’s appearance, giving it a fuller, shinier, softer, thicker looking appearance with increased hair strength and elasticity. 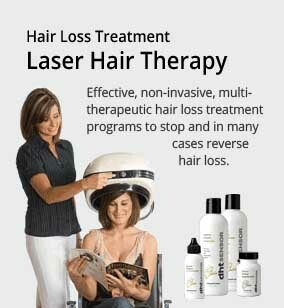 When used in a multi-therapeutic program with proven hair loss products such as our exclusive DHT Sensor hair loss treatment and prevention program, Laser Hair Therapy provides unmatched results in stopping, preventing and in many cases reversing the signs of hair loss in men and women with thinning and damaged hair. *Results can vary based on each case and client. We understand the devastating impact of losing your hair it impacts you your confidence and self-esteem. At Embassy Studio in Chicago, we provide the full range of hair transplant services, including female hair transplantation, eyebrow restoration, and corrective surgery to make old “plugs” work look natural. Our state-of-the-art hair transplant approach utilizing advanced NeoGraft FUE technology gives patients totally natural results without scarring or sutures, allowing them to style their hair in any way they choose, including short “military style” haircuts. Excellence in the art of hair restoration. Dr. Thomas Klein and his staff of dedicated medical professionals provide safe, effective, comfortable and permanent hair loss treatment. Say goodbye to baldness and hello to a new you. Dr. Klein is renowned for his skill and artistry in recreating a natural hairline that is both age and gender specific and matches the unique needs of each patient, today and in the years to come. Thinning or balding hair can be challenging as well as embarrassing, causing a loss of self-confidence and self-esteem as well as in many cases crippling a person’s social and professional life. We invite you to explore all of our hair loss treatment and hair restoration options and invite you to call us to arrange for a private hair loss evaluation and consultation. Regardless of what course of hair loss treatment you decide upon, all of us here at Embassy Studio wish you the best of everything in your search. Transitions Hair Loss Centers took on a challenge from Tino, who has a friend who is experiencing severe hair loss, and wanted to find out if non-surgical men’s hair replacement can look as natural and real as his own hair! We took him up on the challenge and we still can’t stop watching this video! The transformation is nothing short of amazing and shows that this is not your grandfather toupee. I am completely thrilled with the results of my hair grafting procedure! In my case, the technicians removed 2,000 individual hair follicle grafts from the back and sides of my head and transplanted them in the top center and front of my scalp, plus they miraculously “remade” my hairline across the front of my head. It all looks completely natural like it was that way all along. I was so impressed with the skill and dedication of the medical doctor supervising the procedure along with the two amazing technicians who removed the grafts during the morning, followed by a delicious lunch, and then they transplanted the graft follicles during the afternoon! You can tell that the technicians really know the science and technology of hair replacement in order to produce such excellent results. Plus, the owners, Jennifer and Burt, always made me feel relaxed and confident and treated me like I was a member of the family. I highly recommend the multi-talented staff of Embassy Studios!